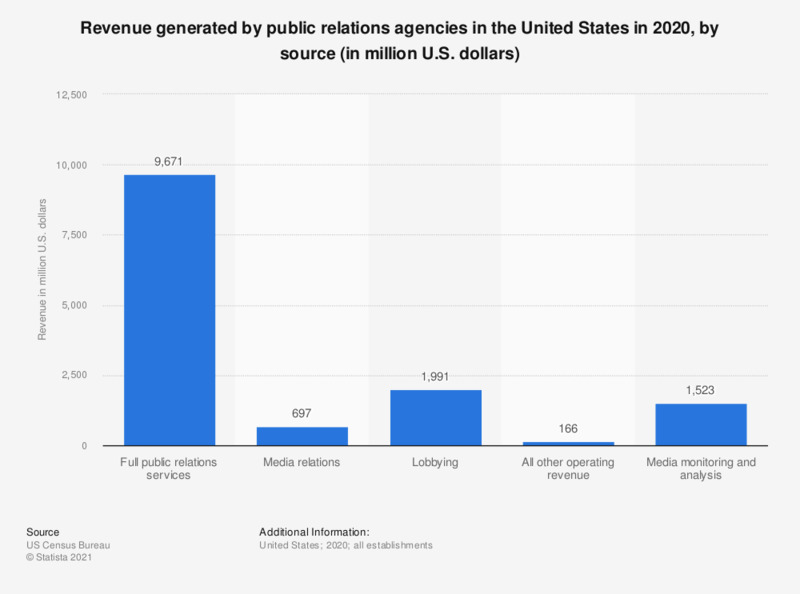 The statistic presents estimated data on the sources of revenue generated by public relations agencies in the United States. In 2017, U.S. PR agencies generated 781 million U.S. dollars with media relations services. * Source provides the following explanation: "Estimate does not meet publication standards because of high sampling variability (coefficient of variation is greater than 30%) or poor response quality (total quantity response rate is less than 50%) or other concerns about the estimate's quality. For a description of publication standards and the total quantity response rate, see http://www.census.gov/about/policies/quality/standards/standardf1.html."